The Gift of Sunderland is the second in a series? Tell us where you came up with the idea for this magical story and what audience would enjoy it most? J.R.: I have enjoyed reading and writing for many years. It’s just one of my passions. My other passion is animals. Fascinated with all creatures as a child, (I had an iguana, a snake, mice, a dog, and a cat, several birds, and an occasional gold fish). The unusual animals that can only be found in Australia captivated me. One day I realized that I could combine these two loves, thus the Australian Fantasy Adventure series was born. My aim was to entertain while educating young readers, not just about some weird marsupial down under, but about the plight of threatened animals all around the world. I wrote it for the middle grade crowd, ages 8-12, but I am finding that everyone loves a great character. It doesn’t matter if that character happens to be a numbat or a quoll. Oh, don’t recognize those animals? Check out the book—the glossary at the back has the info. The next book is entitled, The Last Ayer, and it’s on the drawing board now. This is the exciting time, the creative and imaginative time, and I love every minute. The setting for your novel series is Australia. How much is based on fact and how much is based on fiction? J.R.: Yes, the fantasy is loosely based on the Australian landscape. In this fantasy world, called Sunderland, there is mention of actual places in Australia. So the only factual information is the animals themselves and some particular places that were made a part of the story. Anything real has been placed in the glossary so that my readers can obtain more information about those animals and places. For example, the final battle in The Gift of Sunderland, takes place beneath a mountain called Mt. Olga. 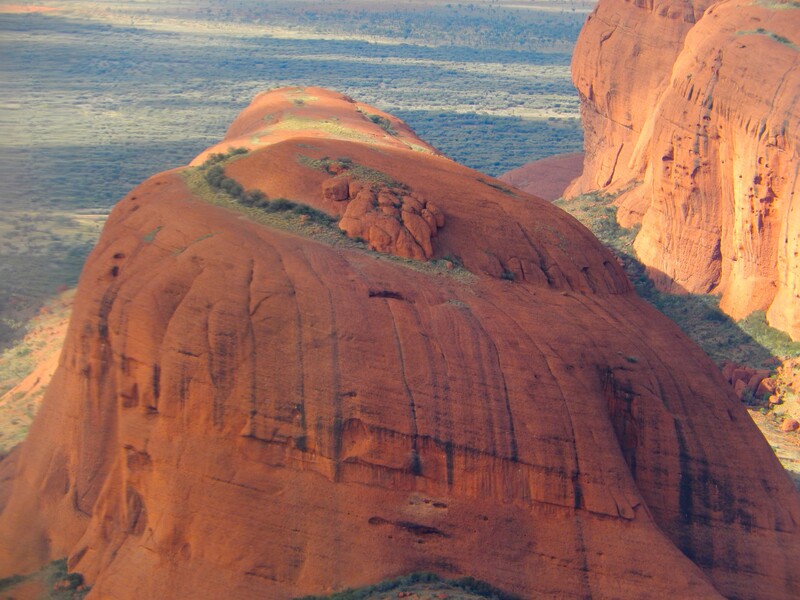 The Olgas are a geological formation at the red center of Australia. 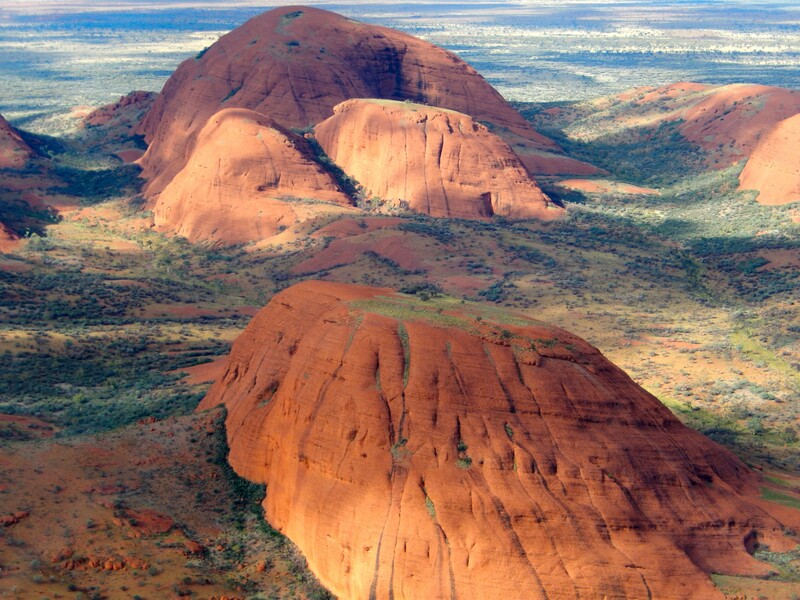 While I was in Australia I took some pictures of the Olgas from a helicopter. I also took some liberties with the animals. 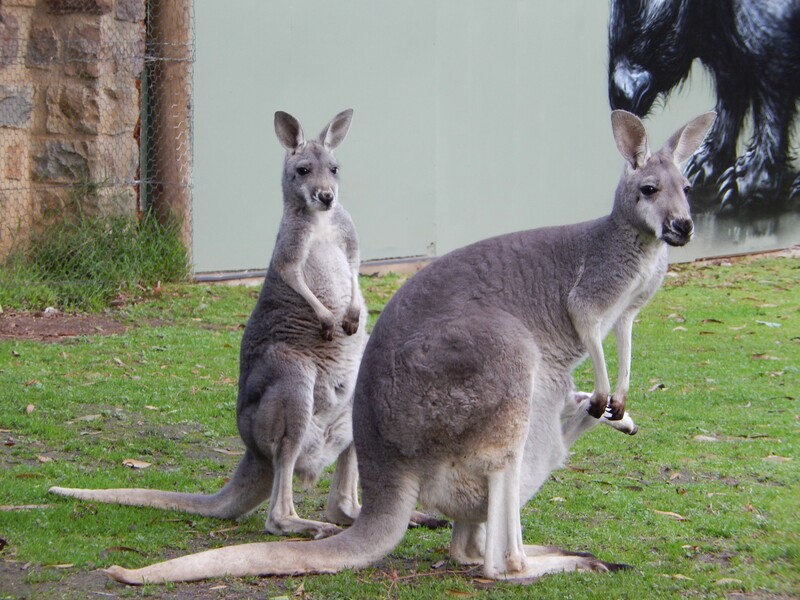 Most of the animals in the story are native to Australia. However, there are a few that are not, and I make this clear in the glossary. Your characters are intriguing and original. Can you tell us just a little about techniques you use when developing characters? J.R.: I have to admit that I don’t see my characters as animals. I see them as people. They speak to me and I envision them in conversations, interacting with one another and having all the traits that you might see in a human. I just simply don’t distinguish between a creature and a person. The fact that they are talking and walking upright is natural to me. As a result of this mindset, I can easily build individual characters based on habits and traits that can be attributed to people. 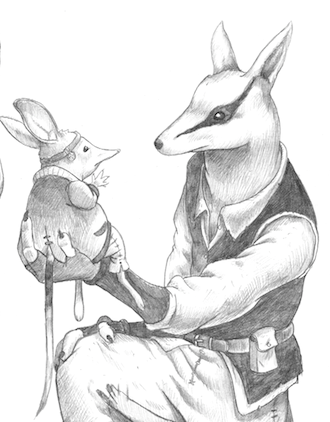 For example, in The Gift of Sunderland, there is a bilby named, Simkin. He’s a wonderful little guy, but he’s insecure and nervous. I gave him a human quality by having him constantly biting his ‘claws.’ In the picture below, Waylond, one of the main characters, is holding Simkin, while Simkin does what comes naturally, frets. I also rely heavily on my illustrator, Guy Atherfold. Typically, when I begin putting together my ideas for a book, I will write to him and ask him for what I call, ‘an inspiration sketch.’ I provide him with a few paragraphs of what I am envisioning in prose, and he creates a picture for me. You’d be surprised how much this helps to light a fire in my belly, and drive my story and its characters forward. It’s all imagination and fun! How long did it take you to write The Gift of Sunderland? Did you travel to Australia as part of your research? The Gift of Sunderland took about a year and a half to write. 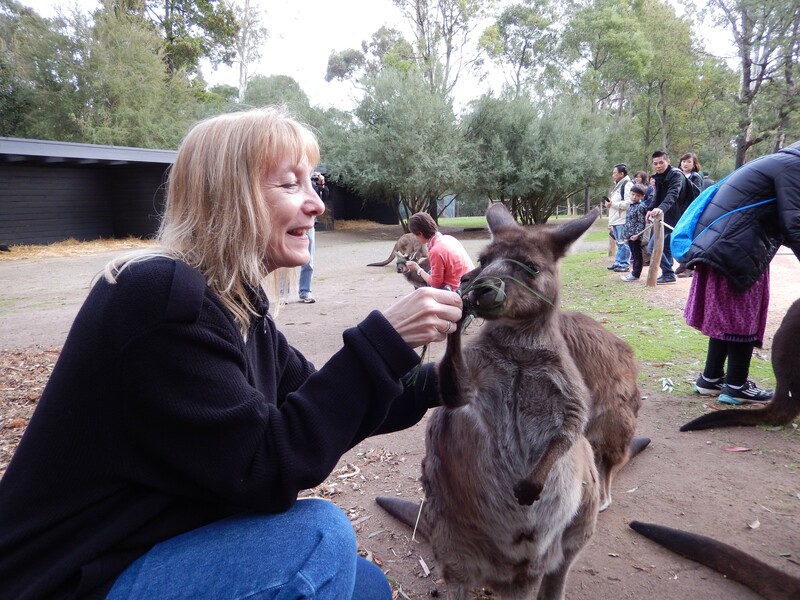 Yes, I did have the opportunity to go to Australia and I was able to see many of the animals that roam the book, and even some that don’t. It was the culmination of a dream come true, and the research and information I accumulated when I was there is invaluable. I am still reeling from the experience. It is something I will never forget. Given the opportunity (and the funds! ), I would go back in a NY second. 5. Please tell us about when you first decided that writing was a vocation you wanted to pursue? 6. What frustrations did you encounter on your novel writing journey? How did you move past them? Do you have any words of wisdom for people considering writing a novel or a memoir? J.R.: When I started my first book, The Sword of Demelza, I was still working full time. That was a frustration that has absolutely no description. I would sit at my desk in the office and envision a scene that I wanted to put in my story. I would find myself writing notes on scraps of paper and trying to organize myself when I got home. When I finally got home, I spent real time writing. It took me four years of work to put together The Sword of Demelza. Writing The Sword of Demelza, was a learning experience and I drained every last drop from it, and poured it into book two, The Gift of Sunderland. My advice to writers, who are planning on leaping into the publishing fray, is do your homework first. Once you’ve decided what genre you’re going to write, research your competition, and read as many books as you can in your chosen genre. Then establish a platform from which you will introduce your work to the world. Establish a focus, a passion that’s yours. Have the courage to be daring and different. Leave the vampires and the werewolves behind and trek into a strange new land that only you can own, but are willing to share. Memoirs are a whole ‘nother kettle of fish. They are difficult in that if you are hoping to land an agent or editor and head toward the traditional publishing route, you’ll encounter problems. If you’re not someone famous like Stephen King, or Napoleon Bonaparte, you won’t get much consideration. The agents will, more than likely want to know who you are and will the reading public really want to know about your life. I have read some stunning memoirs recently. They are impeccably written and, in my opinion, worthy of attention. However, the authors are not famous people and cannot seem to capture the spotlight. However, there are other reasons to write a memoir that include passing on to your family something of importance to them. It may be an incident that will memorialize a person or a family’s experience. One never knows, if it is written well, and has some universal message, it may catch fire. Writers need tenacity and passion. They have something to share and should do so. It’s like exposing one’s heart and soul to the world, and there are readers out there who want to experience it. WRITE ON! J.E. Rogers is a graduate of Western Connecticut State University. Infused with a reverence for life, she loves animals and has always been especially intrigued by the unusual animals that can only be found in Australia. 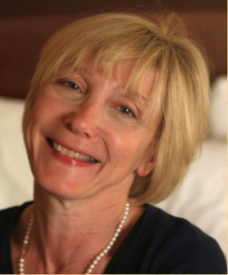 In avid student of every facet of the country, Rogers’ love all things Australian has flowed into her books. 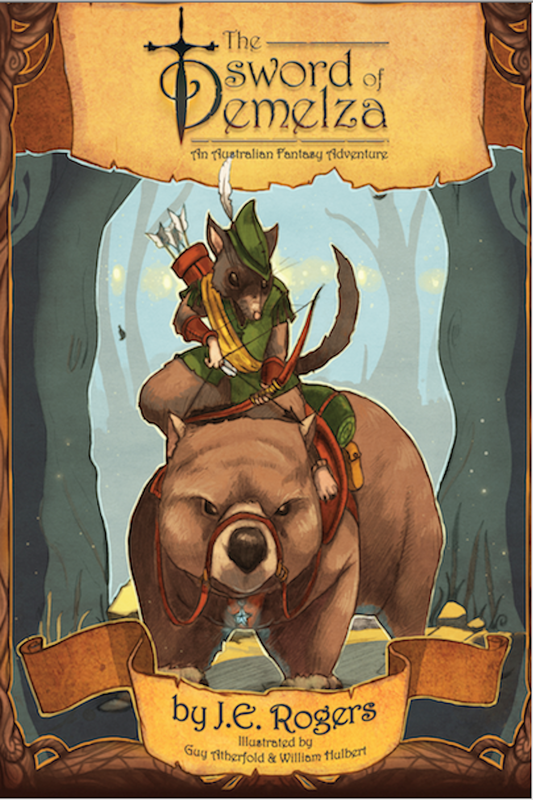 She hopes to spark an interest in young readers to the flora and fauna of Australia while engaging them in a wildly imaginative tale of adventure. She spends much of her time blogging and speaking to youngsters, at libraries, schools, and museums, about endangered and threatened animals around the globe. She wants children to understand that we are connected with all life on this planet, and that animals are our fellow creatures and we share this world with them. It is our responsibility to protect them. Jeanne lives in Connecticut with her family, which includes two dogs, and two cats. Categories: Uncategorized | Tags: Australia, Australian Novels, Fantasy Fiction, fiction writers, Middle Grade Novels | Permalink. Very interesting interview – thank you. I like the idea of sending sketches to the illustrator to bring your creations to life, even while you’re writing, Jeanne.